Last year Cobra Golf tried to create an iron lineup which offered something for everyone regardless of their skill sets. This year, those efforts have been increased with the introduction of three new options, one of which being the KING OS which were recently introduced. Now comes the KING F7 and KING Forged Tour irons which expand on the technology introduced in their predecessors in a much focused manner. As if that were not enough, after the signing of PGA Tour player Bryson DeChambeau there was much buzz on the amount of work the Cobra designers and engineers put in to create an iron that would fit his incredible level of demand, and if the average golfers would ever have the opportunity to try the technology for themselves. 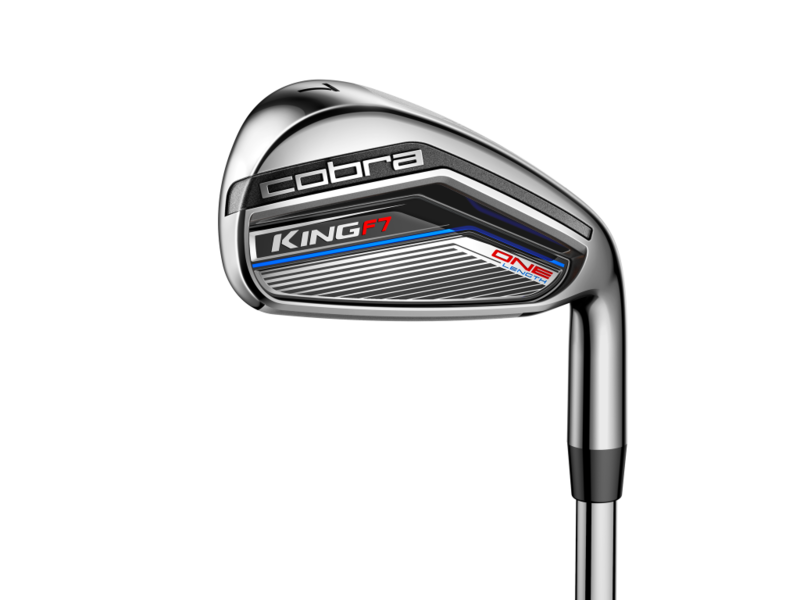 With that in mind, Cobra Golf is set to become the first major OEM to mass produce and release single-length irons under the KING F7 ONE and KING Forged ONE monikers. The KING F7 irons aim to build on what the F6 started, and that is completely revolutionizing the progressive iron set. The irons have received a facelift making the look more streamlined while still featuring the TECFLO design (full-hollow long irons, half-hollow mid irons, cavity back scoring irons, and specialty blade wedges) and Progressive Spin Technology which makes for the most advanced progressive design on the market. Added to that is what Cobra calls their PWRSHELL that has allowed for an even thinner face and sole structure which aims to expand the overall sweet spot to improve consistency, forgiveness, and distance. The F7 also feature the T.O.P. (Thin, Optimized, and Personalized) badge which allows for more CG manipulation through the set thanks to its light weight savings it provides. The F7 irons will be available in 5-GW (KBS TOUR FLT) configurations as well as a combo set with hybrids in both steel (True Temper KING) and graphite (Fujikura Pro 63i). The KING F7 ONE irons feature the same baseline design traits as the F7 irons as they also utilize Cobras TECFLO, PWRSHELL, and T.O.P. technology but the obvious difference is the single length build through the set. The F7 ONE irons will play off of 7-iron length and weighting all the way through the set makeup which is intent on providing more consistency and accuracy as most average golfers find the center of their 7-iron much more than their longer counterparts. The ONE version of the F7 will be available in a 5-GW configuration with steel and graphite options. The KING Forged Tour irons follow up one of the most under the radar sets of 2016 and look to garner much more attention with the newest iteration. These are irons focused on producing feel and precision for golfers who demand such things in their game. The irons have gone through a five-step forging process and tungsten weighting throughout the set to maximize the CG placement for each and every iron in the set. Refined CNC milled grooves and faces as well as the sleek TPU badging seek to round out the consistency of the feel within the set while also maximizing the spin generation through various situations. The KING Forged Tour irons hope to situate themselves in the market with a unique blend of shot-making capabilities combined with surprising forgiveness through the set. The Forged Tour are available in a 4-PW configuration (3i and GW available through special order) paired with KBS Tour FLT shafts and are a right hand only option. Cobra Golf has also created a single-length version of the Forged Tour which they have named the KING Forged ONE irons. The set features the same technological aspects as the standard length counterpart, but tuned to play at a 7-iron length throughout. As with the F7 ONE, the Forged ONE irons not only feature the 7-iron playing length, but also weight and balance in the rest of the set. Set availability here is 4-PW in right hand only, however, in the case of the ONE version Cobra is also producing a 56° and 60° specialty wedge option that are also set to play at 7-iron length and weight. It is more evident than ever that Cobra Golf is all-in on creating the most well rounded iron lineup they can possibly release. Even without the single-length options the designs should create a large amount of interest from golfers of all levels. However, when you add in the fact that the company is stepping out on the limb to bring to retail not one, but two different single-length iron sets then one cannot help but be both amazed, and curious. This year is shaping up to be a significant one for Cobra Golf, and rightfully so. Nice write up James. I enjoyed hitting the F7 at THP Ambition and the thr shaft pairing is great. These are definitely a must try for next year because people will be pleasantly surprised. It will be interesting to see how the single length irons work once they hit the market. Look forward to hearing some feedback in the coming months. Good stuff, James. I agree with Freddie, it will be interesting to see how the average golfer takes to the one length set. These look like they would be fun to try, though I wouldn’t buy without trying first. Not my cup of tea but I’m sure a lot of people will be happy to see these. Great introduction to these sets of irons. Having seen and tried them a couple weeks ago I’m looking forward to seeing everyone’s thoughts when they get a chance to put them in their hands. The 2017 irons from Cobra were solid in my experience. 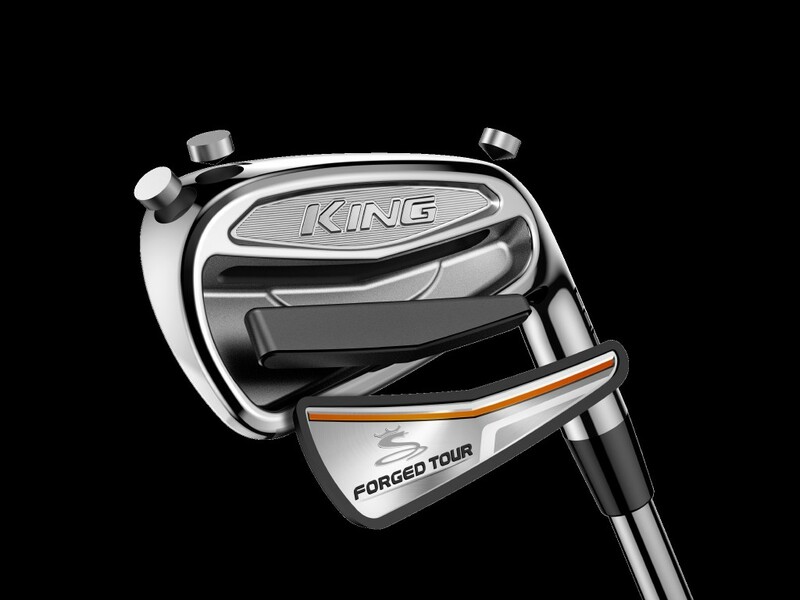 I really do want to try the King F7 irons. The concept intrigues me a great deal. I’m intrigued by the set of tour one irons and hope I have a chance to test them. Thanks for the info THP. Great write-up. I have a feeling that there will be a lot of initial buzz and sales but will fizzle like the square drivers. 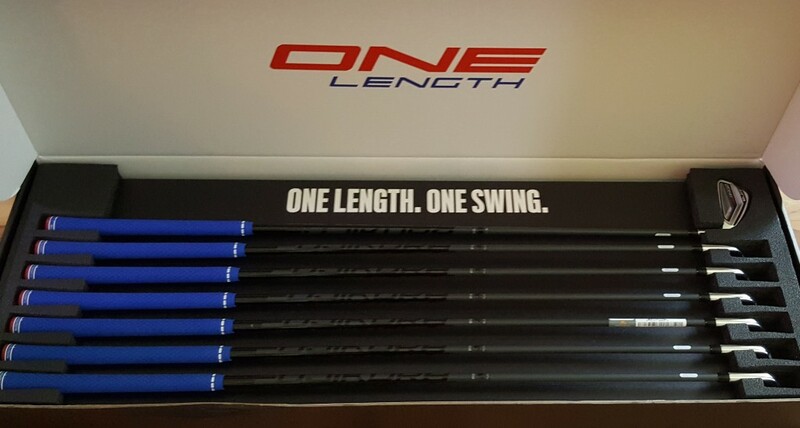 These are interesting, I haven’t heard much about the single length irons but the concept makes sense. I’d like to hit these and see how it works, the look is pretty darn nice. Great job James!! Don’t know if I can handle single length irons but I think I will give them a try!! Thanks for the great information!! I’ll be following this closely. More options are good for all of us. Great write up. So excited about the Forged ONE. I’m currently playing the Wishon Sterlings but would love to get a hold of the Cobra’s for comparison. Love the company for doing this!